Fresh off the record breaking success of his powerhouse hit Yesh Tikva, long time producer Avi Newmark is back again, this time teaming up with highly sought after singer Yumi Lowy in all new single titled Mi Adir. 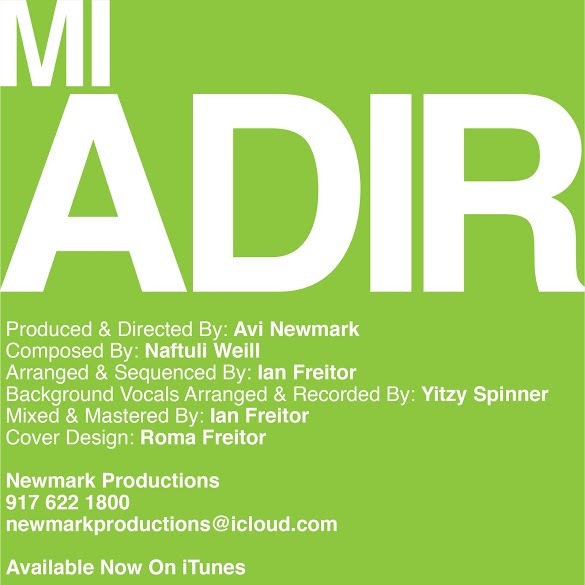 An energetic pop song that puts a new spin on what are arguably the most familiar words sung at a wedding, Mi Adir literally bursts with energy and vitality. Composed by Naftali Weil, arranged by Ian Freitor and featuring backup vocals by Yitzy Spinner, you can bet that this catchy song is going to be coming to a dance floor near you, ASAP. Newmark has built a career for himself by pumping out more than his fair share of hit songs, with eight full length albums and five singles to his credit. 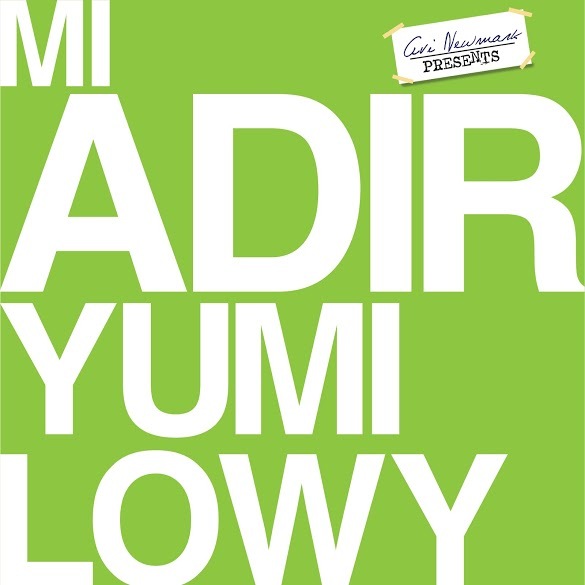 With a long resume of crowd pleasers including Legabay, No Lyrics, Window in Heaven, Hagomel, Taamu, Kad Yasvun, Chasoif, Misoid, The Letter (a.k.a. Daven for Me) and, of course, Yesh Tikva, Newmark’s flair for knowing how to make the most of each song has earned him the respect of music lovers worldwide. In the two years since the release of his debut album Ahavas Hashem, Lowy’s fan base has continued to grow at an astronomic pace and the talented vocalist is excited to be releasing a new single, as well as a song that is different than anything else he has recorded before.